A few years ago I built an UltiBots K250 delta printer from printed parts and a hodgepodge of purchased parts from UltiBots. I wanted a smaller delta to take to my presentations on 3D printing and it was the perfect size. This printer was also my original test platform for trying out the Duet .6 controller and David Crocker's dc42 RepRapFirmware. It turned out to be a perfect storm of delta nirvana! The K250 was the most reliable and most precise delta printer I've owned, period (until now). UltiBots' direct drive Micro Extruder - no Bowden tube! The Duet, .9° steppers, FSR probing and all metal frame caught my attention. But my main interest in this printer was its massive size - 445mm Z x 290mm bed diameter (it's actually a bit larger than that). The only "must have" not included is a PEI print surface – but one is available and can be purchased with the kit. I ordered my D300VS kit not realizing it was one of the first sold and documentation was sparse. No worries though, I've built a lot of 3D printers and the only unique item was the Micro Extruder. I was actually on the fence about it and my initial plan was to swap it out for a Bondtech QR extruder and Bowden. Brad (UltiBot's owner) convinced me to give it a try for a few weeks and I'm glad he did! I started to document my build with a lot of photos with the plan to help document the build. But as I got into the build, my excitement grew and I wanted to get this printer commissioned as soon as possible. As soon as auto-calibration completed (I run auto-calibration in my g-code header for nearly everything I print) and the first layer started I could tell this was going to be a special printer. And that's the precise moment that I fell in love with the D300VS! Take look at the photos below. 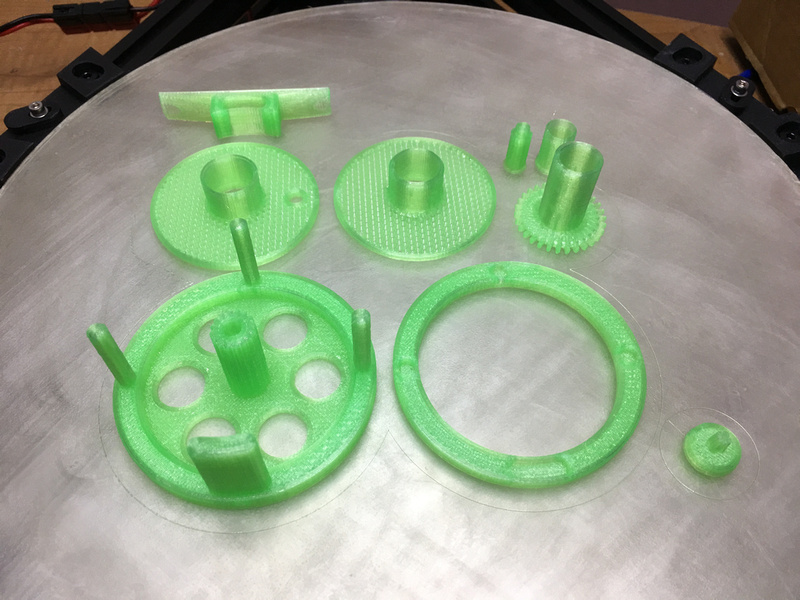 These parts are each challenging on their own and even more so combined into one platter and printed simultaneously. As you can see, the first layers went down flawlessly. 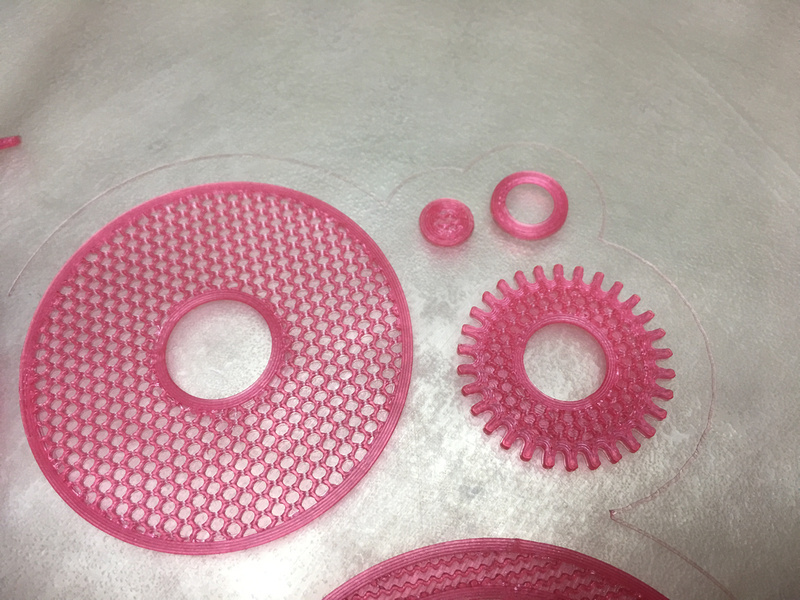 Two of these parts are printed with an "open mesh" that is very challenging to print reliably and flawlessly. The D300VS printed them flawlessly the very first time! Here are the completed parts. Let me describe these and the challenges they present to the printer (and operator). Starting at the upper left is the foot – that long skinny object. It is the part that attaches the reel to the fly rod. 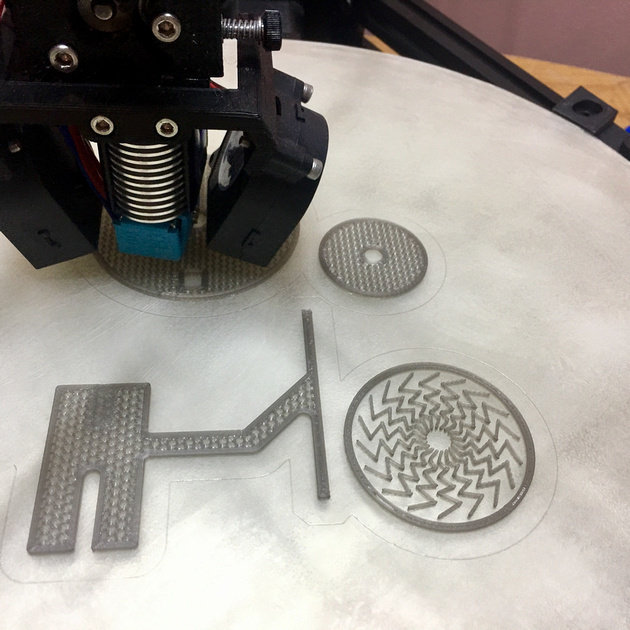 This part has very little surface area to stick to the print bed and is always a challenge. Below it are two disks with a central post. These are the side plates and are the parts with the open mesh design. 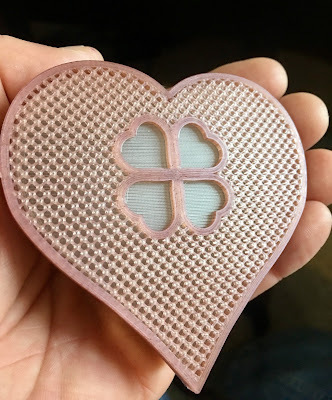 Here's a photo of one printed in pink PLA so you can see the detail more clearly. These parts are the most challenging to print. If the first layer height is off even a little it significantly affects the aesthetics (smoothed weave is obvious and looks horrible) or the part peals from the bed (layer too thick). These parts are perfect. To the right of the spool pates are three cylindrical parts. They have very little contact area with the bed and must be printed very precisely to hold their dimensions. The larger of these has a gear-like feature you can see clearly in the photo of the pink parts. Those teeth are a major challenge to print flawlessly. Below these is a large ring. Nothing significantly challenging on this part or the small part at the lower right. In the lower left is the reel back plate. This part has all sorts of challenges to print. 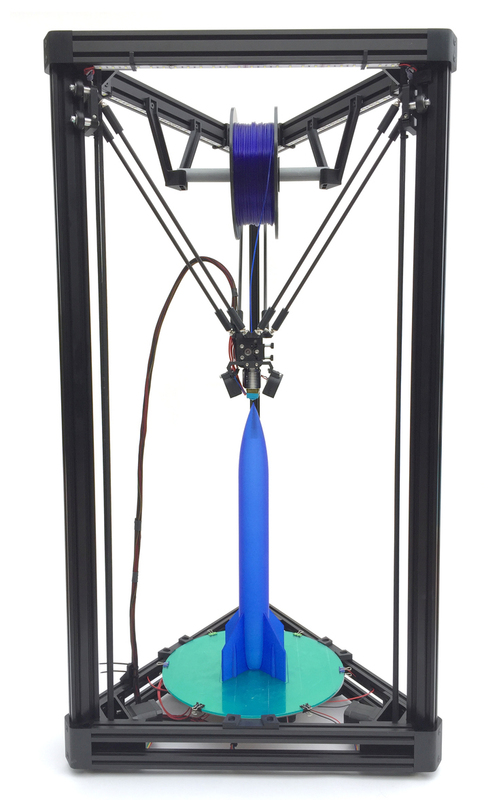 The tall pillars are magnets for stringing and are a real test of extrusion and filament. They also create havoc for layer registration and part cooling for most printers. The D300VS has continued to perform like this from the very first print. I knew what to expect from the Duet, .9° steppers, FSR bed leveling and other features but the Micro Extruder was an unknown entity. I've now done enough printing and testing to come to understand that direct drive extruders blow Bowden filament delivery out of the water on these large delta printers. 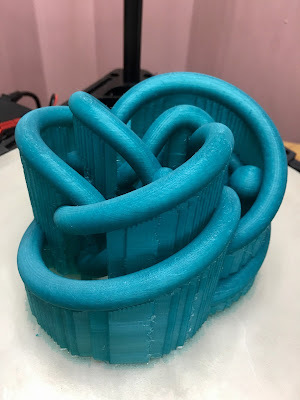 I have been so impressed with part quality and the ease of dialing-in slicing to eliminate strings and blobs that I've gone on a mission to eliminate Bowden tubes from ALL my delta printers. I'm glad Brad convinced me to give it a try and now with six months of continuous use I can say the Micro Extruder has been very reliable and trouble free. The only significant criticism about the D300VS was the lack of good build documentation. This is not an issue for experienced builders but is a bit of a non-starter for folks looking for a first 3D printer. Recognizing this, Brad asked if I'd write a professional build guide for the D300VS and I agreed. He sent me a new kit to use to photograph and document the build. 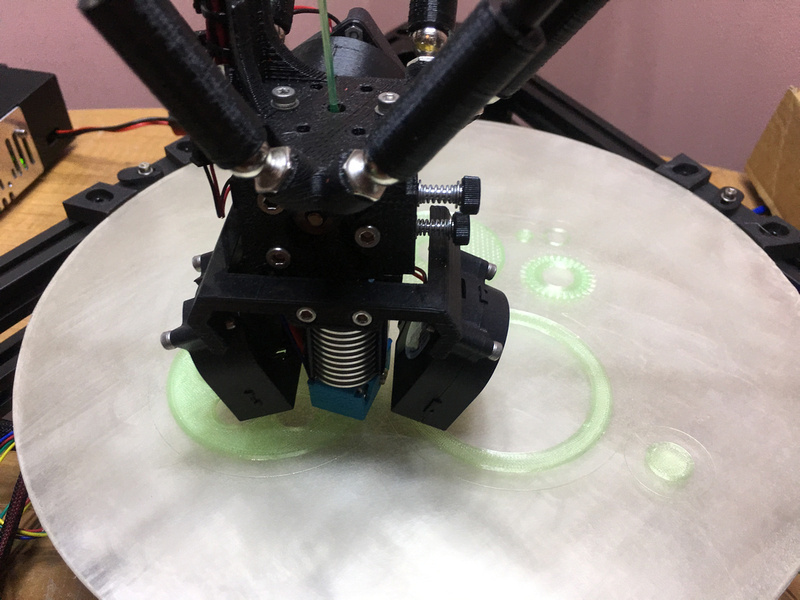 The UltiBots D300VS Build Guide is now complete and getting great reviews – and more importantly, helping a lot of first time 3D printer builders get off to a great start. At the end of the day, the D300VS is an excellent delta printer with top-notch features. It's geometry lends itself to precision construction and printing. The Duet WiFi controller is excellent and its stepper drivers are are dead quiet. Everyone always comments on how quiet my D300VSes are. The RepRapFirmware with its integrated Duet Web Control interface is the best open source firmware there is, especially for auto-calibration performance, usability and overall print quality. And the D300VS is a great value too with its quality components and construction and print build volume. I'll leave you with a few more photos showing what the D300VS is capable of doing. 6 comments to ''Six months with the UltiBots D300VS delta printer"
ok Michael, so do you outright support the Nimble or the Ultibots extruder as the goto for Delta printers? It seems that the Zesty Nimble performed well for awhile for you on your reels that demand perfection as they are beautiful renditions of the real thing, Is this the ultimate product or is Ultibots? There are 4 extruders. At the top of the list is the E3D Titan Aero. It is the cleanest extruder/hot end I've ever used. Next is the Bondtech BGM. 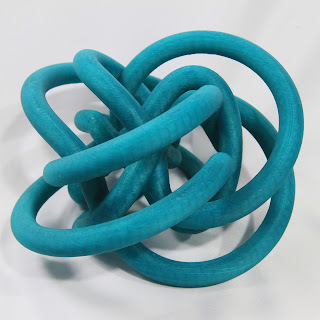 It is almost as clean as the Titan and is better all around for flexibles and other challenging filaments. Next is the UltiBots extruder. Quite capable. The Nimble is good but not quite as good nor has it proven long term reliability. My interest in the Nimble was primarily for a non-Bowden option for smaller deltas. It is on my K250 and serves that purpose well. Thanks Michael, I did see the Plus model. It has every bell and whistle that I could want minus and enclosure. I think I'll go for it. I need to have a delta again, and one that works good. Any chance you will be doing and videos on it? Or do you know of one? I was just looking for a general run down on it. I should ask Brad if he would make one. Build guide should be very close I would assume, minus the printed parts and maybe the Panel Due setup.